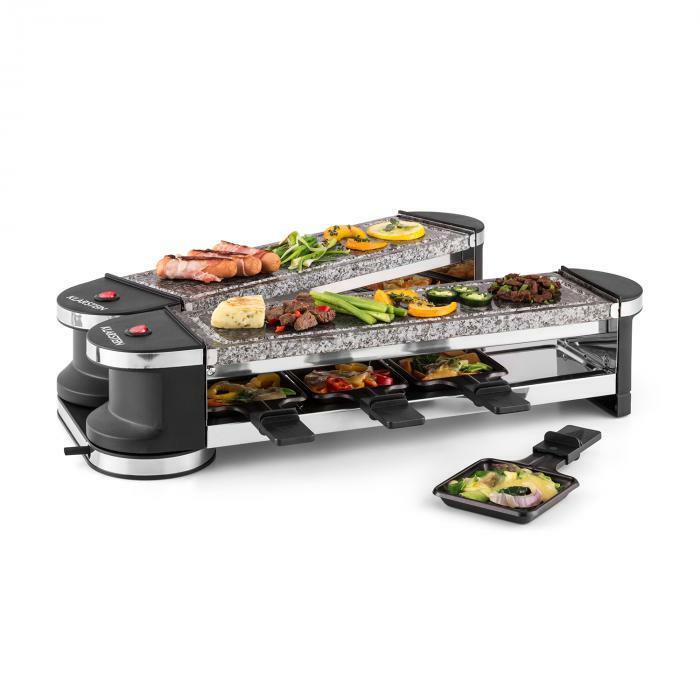 Also the design of the Tenderloin Raclette BBQ is absolutely convincing. 1200 W power heats up the heating coils. 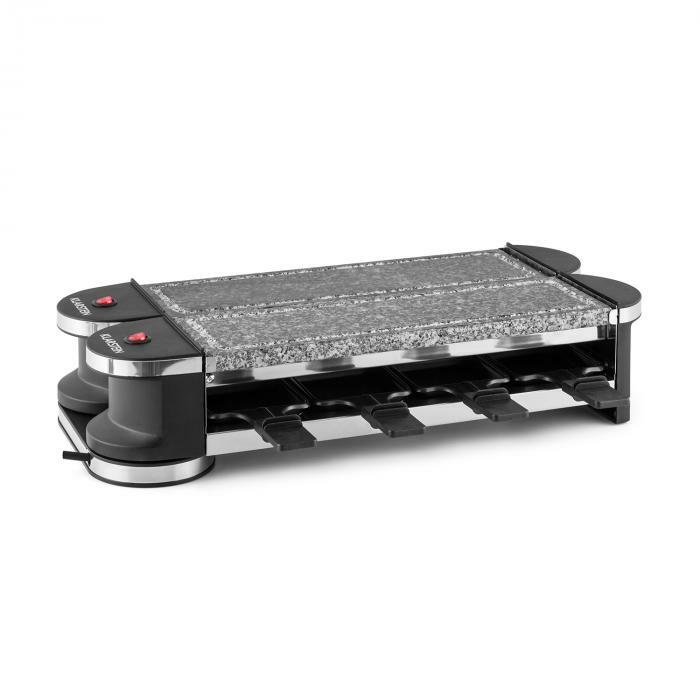 The heated coils get the anti-stick layered trays glowing as well as two natural stone plates. The two polished granite plates have a milled groove as an outlet for frying fat. 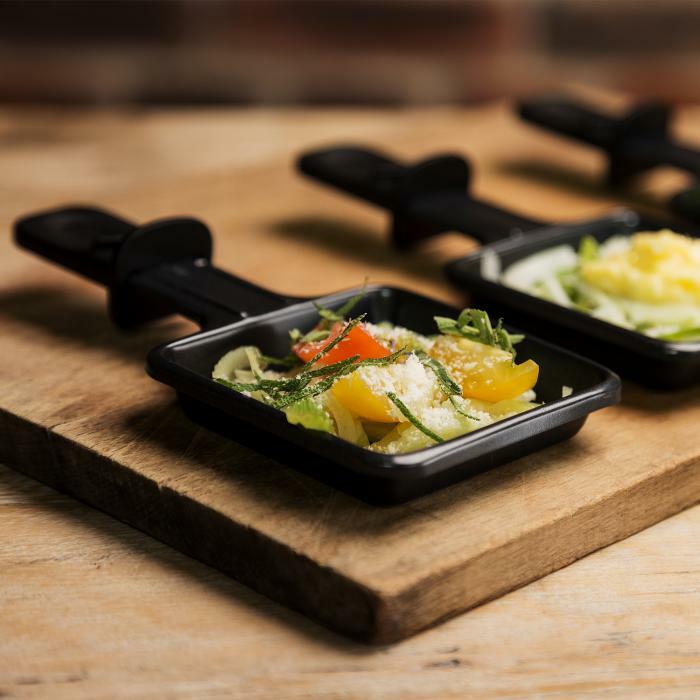 Every little frying pan has a wooden spatula that easily removes melted cheese and food from the BBQ platform without causing scratch marks on the surface.